Property should consist of any building or land appurtenant thereto. The property may be used for any purpose, but it should not be used by the owner for the purpose of any business or profession carried on by him, the profit of which is chargeable to tax. Other assets like say, furniture, plant and machinery. The sum attributable to use of services is to charged to tax under the head “Profits and gains of business or profession” or under the head “Income from other sources”. Step 1 - Determination of Gross Annual Value (GAV). Step 2 – From GAV computed in step 1, deduct municipal tax paid by the owner during the previous year. Step 3 – The balance will be the Net Annual Value (NAV), which as per the Income-tax Act is the annual value. (a) Where the assessee owns more than one property for self-occupation, then the income from any one such property, at the option of the assessee, shall be computed under the self-occupied property category and its annual value will be nil. The other self-occupied/unoccupied properties shall be treated as “deemed let out properties”. (b) This option can be changed year after year in a manner beneficial to the assessee. 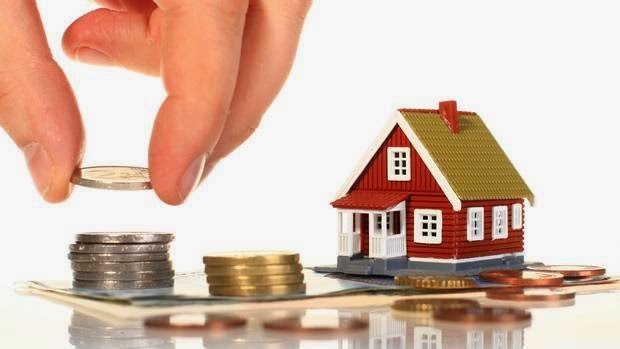 Where the assessee owns more than one house property for the purpose of self-occupation, the annual value of any one of those properties, at the option of the assessee, will be nil and the other properties are deemed to be let-out and income has to computed on a notional basis by taking the ALV as the GAV. In the case of let-out property also, if the ALV exceeds the actual rent, the ALV is taken as the GAV. (b) It should be actually paid during the previous year. Interest payable on loans borrowed for the purpose of acquisition, construction, repairs, renewal or reconstruction can be claimed as deduction. Interest payable on a fresh loan taken to repay the original loan raised earlier for the aforesaid purposes is also admissible as a deduction. Interest relating to the year of completion of construction can be fully claimed in that year irrespective of the date of completion. Interest payable on borrowed capital for the period prior to the previous year in which the property has been acquired or constructed, can be claimed as deduction over a period of 5 years in equal annual installments commencing from the year of acquisition or completion of construction. Where the property has been acquired, Actual interest payable subject constructed, repaired, renewed or reconstructed to maximum of ` 30,000. with borrowed capital before 1.4.99. Where the property is acquired or constructed Actual interest payable subject with capital borrowed on or after 1.4.99 and such to maximum of ` 1,50,000, if acquisition or construction is completed within 3 certificate mentioned in (2) years from the end of the financial year in which below is obtained. the capital was borrowed. Where the property is repaired, renewed or Actual interest payable subject reconstructed with capital borrowed on or after to a maximum of ` 30,000.1.4.99. For the purpose of claiming deduction of ` 1,50,000 the assessee should furnish a certificate from the person to whom any interest is payable on the capital borrowed, specifying the amount of interest payable by the assessee for the purpose of such acquisition or construction of the property. The ceiling prescribed for one self-occupied property as above in respect of interest on loan borrowed does not apply to a deemed let-out property. Deduction under section 24(b) for interest is available on accrual basis. Therefore interest accrued but not paid during the year can also be claimed as deduction. Interest on loan taken for acquisition or construction of house on or after 1.4.99 and same was completed within 3 years from the end of the financial year in which capital was borrowed, interest paid or payable subject to a maximum of 1,50,000 (including apportioned pre-construction interest). In case of loan for acquisition or construction taken prior to 1.4.99 or loan taken for repair, renovation or reconstruction at any point of time, interest paid or payable subject to a maximum of` 30,000. We recommend that you create a checklist from these items so that your property review and inspection process is suitably enhanced and professional.